Now THIS is a sandwich! “El Gigante” is a true hero when it comes to busting hunger…or your classic Mexican ham torta cravings! Sponsored by Smithfield. Here in Texas, Mexican tortas are a thing. They’re a staple on the menu at Mexican restaurants and food trucks. While I don’t think I’ve ever had a bad torta, all tortas are not created equal! This is a recipe re-created from one I fell in love with in Mexico over a decade ago and have been searching for ever since. A torta is a Mexican-style sandwich, made hot or cold. While the fillings vary widely based on where you are and personal preference, the trademark of a torta is the fluffy, yet crusty roll on which it is served. Traditionally, a torta is prepared using either bolillo or telera rolls. These are similar to a French baguette, but with a less crumbly crust, and they are sized for one person. For both hot and cold tortas, the bread is usually buttered and lightly toasted. Then you pile it full of your favorite meats and veggies, especially jalapeño and avocado. A torta is big, hearty, and messy. If it’s not messy, you’re not doing it right! On summer in college I studied abroad in Mexico. Our school served tortas for lunch and I quickly became addicted. I literally ate one every single day! These tortas were unlike any I’d tasted before. Here in Texas, the go-to torta is essentially a taco on a bun — a spread of beans, piles of fajita meat, sliced avocado and tomato, finished with a sprinkle of shredded lettuce. I’ve craved this perfect Mexican ham torta ever since returning to the states, so much so that it almost took on mythical status! Despite my searching at every restaurant I visit, I’ve only found an equivalent once, so I decided to re-create it myself at home! However, this time I enlisted my husband’s help to take my torta to the next level. 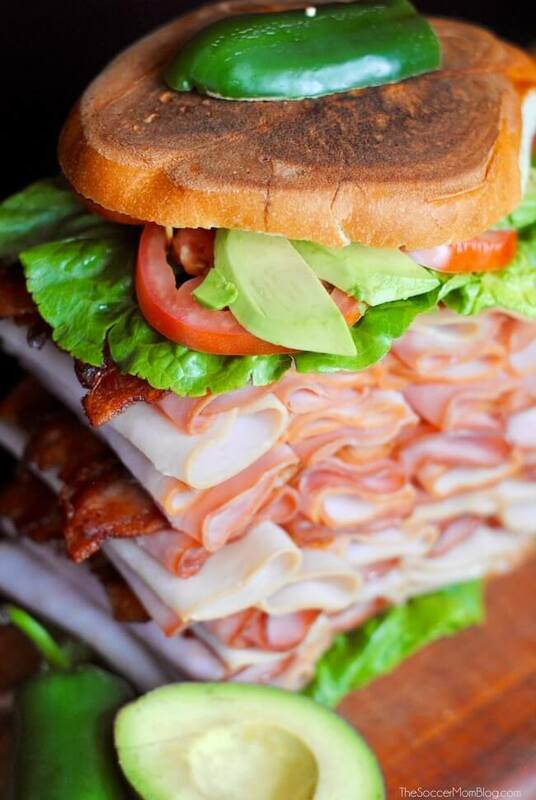 We nicknamed our sandwich “El Gigante” (the “Giant”) because a sandwich this meaty deserves a hero’s name! “El Gigante” is a true hero when it comes to busting hunger…or your classic ham torta cravings! 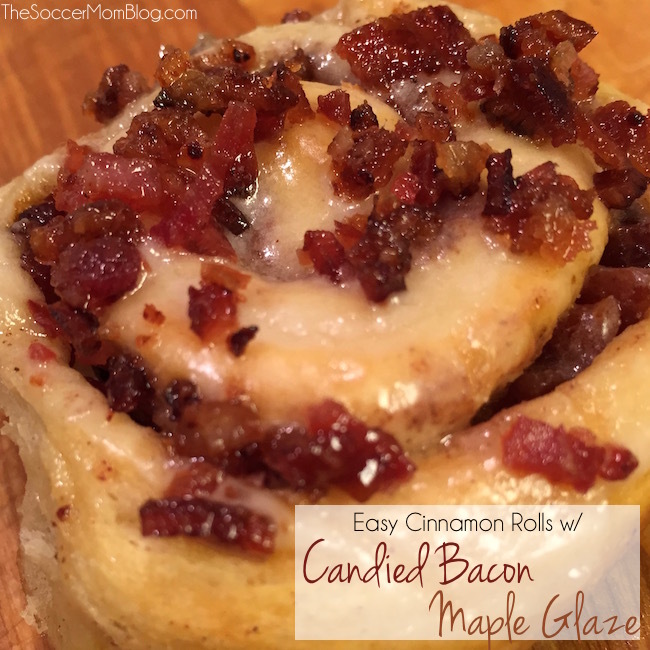 Perfect for sharing and parties! It’s EASY to be a HERO when you join the Hero Club! Prepare Smithfield bacon according to directions on the package. This will give you time to prep your bread and slice your veggies. Slice bread loaf in half. Both bollilo and telera rolls are sized for one person, so one roll makes one sandwich. Lightly butter the outside of the bread and toast each half until golden brown. Spread the inside of each half liberally with mayo. Starting with the bottom, layer Smithfield Prime Fresh Smoked Ham and Smoked Turkey. 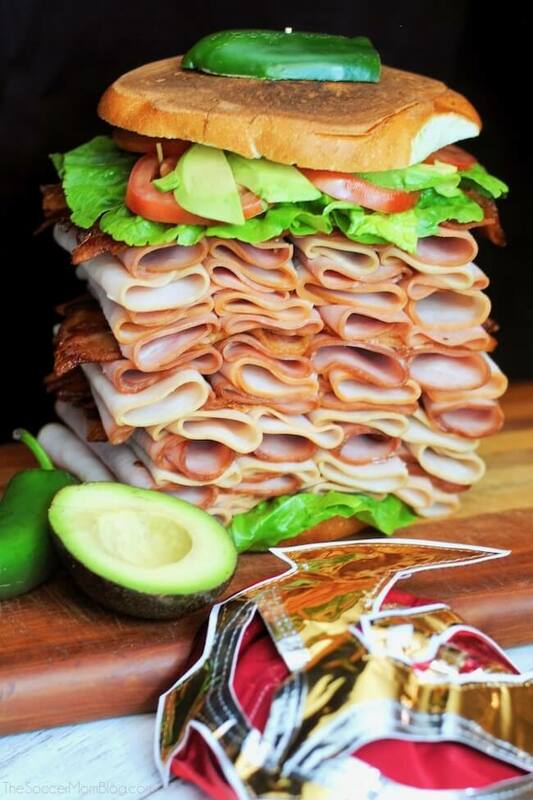 Feel free to use as much meat as your heart desires for your “El Gigante” HERO sandwich! 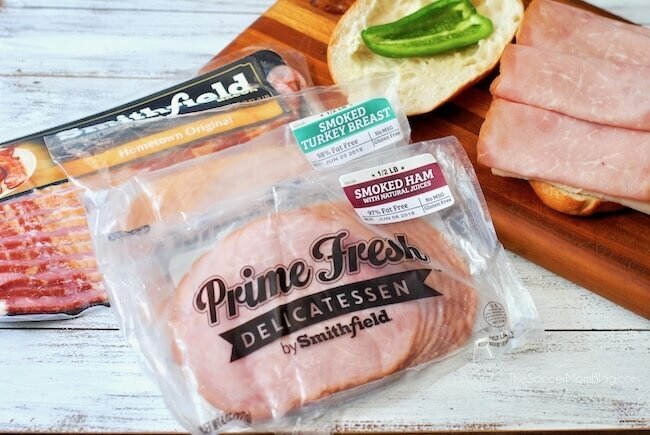 We chose Smithfield Prime Fresh for our deli meats because they offer the same fresh taste you expect from your grocer’s deli, without the wait (or the premium price tag)! Plus they’re gluten free and contain no MSG. You can find Smithfield Prime Fresh deli meats in the refrigerated meat section at your local supermarket. Since this is a “super hero” sandwich, we added Smithfield Hometown Original Bacon — because everything is better with bacon! 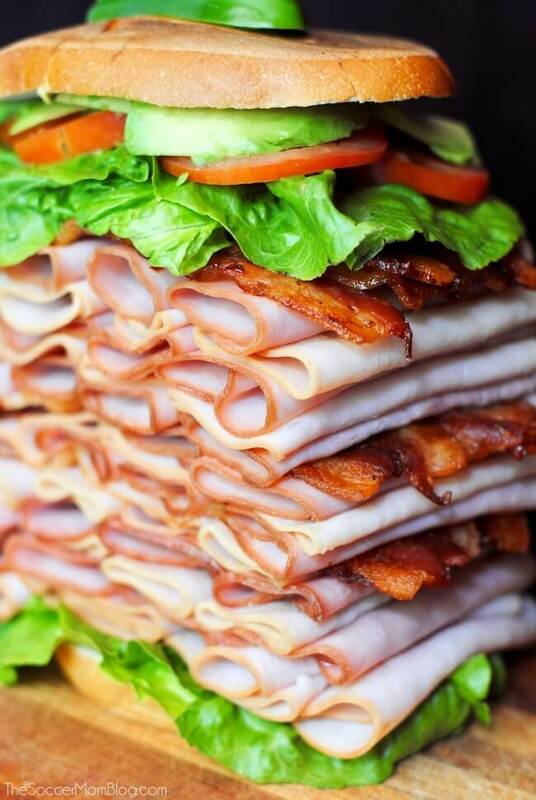 On top of your meats, add layers of lettuce, tomato, and avocado. TIP: Slice avocado, then smash with a spoon before removing from skin for easier spreading. 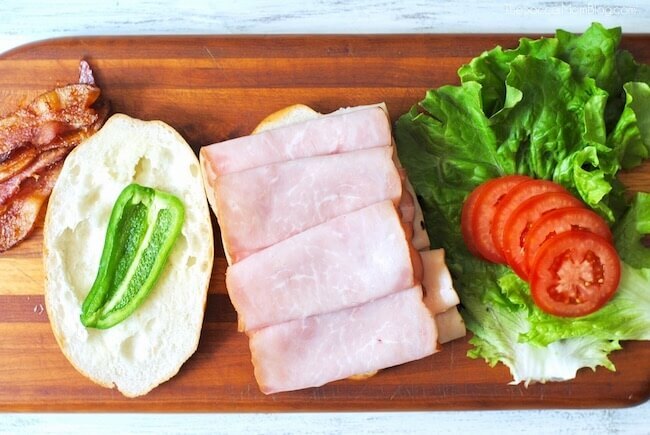 Finally, add a slice of fresh jalapeño for that extra kick and place the top piece of bread. You’re now officially a member of The HERO Club! 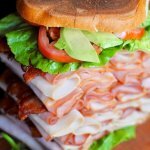 For more delicious recipes using Smithfield Prime Fresh deli meats, visit PrimeFreshDeli.com. Now THIS is a sandwich! "El Gigante" is a true hero when it comes to busting hunger...or your classic Mexican ham torta cravings! Prepare Smithfield bacon according to directions on the package. Slice bread in half and lightly butter the outside. Toast until golden brown. Spread the inside of each half with mayo. Add 1-3 layers of Smithfield Hometown Original Bacon, depending on how tall you plan to make your sandwich. Top with a slice of fresh jalapeño.